Glenn Schussler (Class of 2015) brought 2 red maples (Acer rubrum) and a southern magnolia (Magnolia grandiflora) to plant at Audubon House on the first volunteer planting day on 5-23-2015. 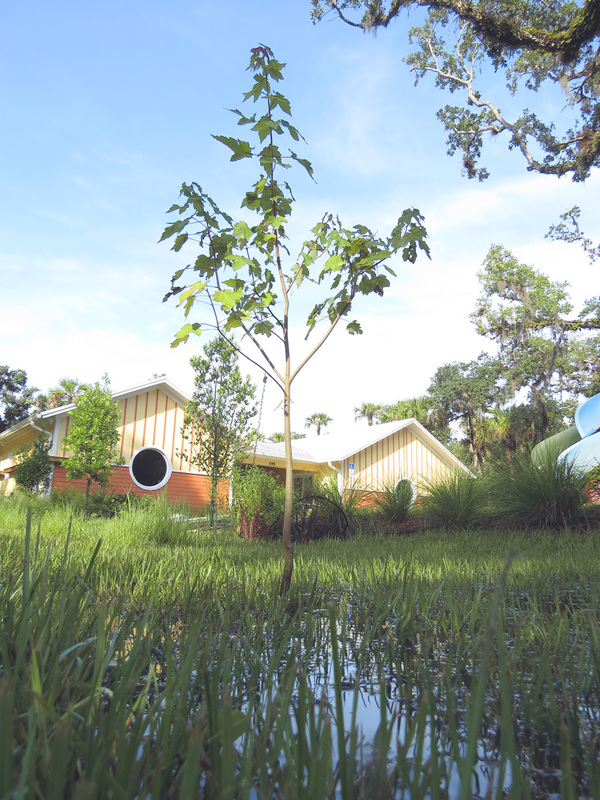 Pictured above in a photo by Pelican Island Audubon Society Office Manager Bob Montanaro is the red maple planted that was planted in a lower, wetter spot in the ‘dry’ water retention area. 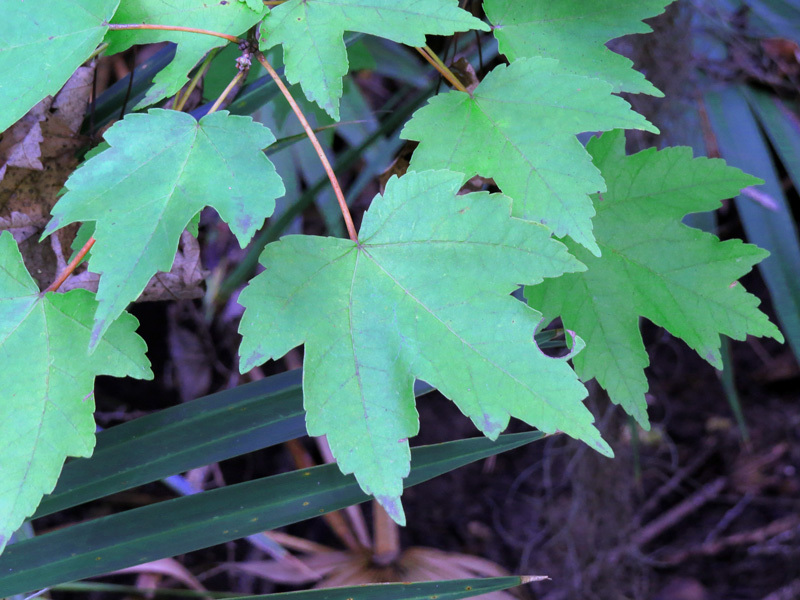 A fast-growing tree of moist or somewhat wet places, red maple grows to be about 50′ tall in Florida. 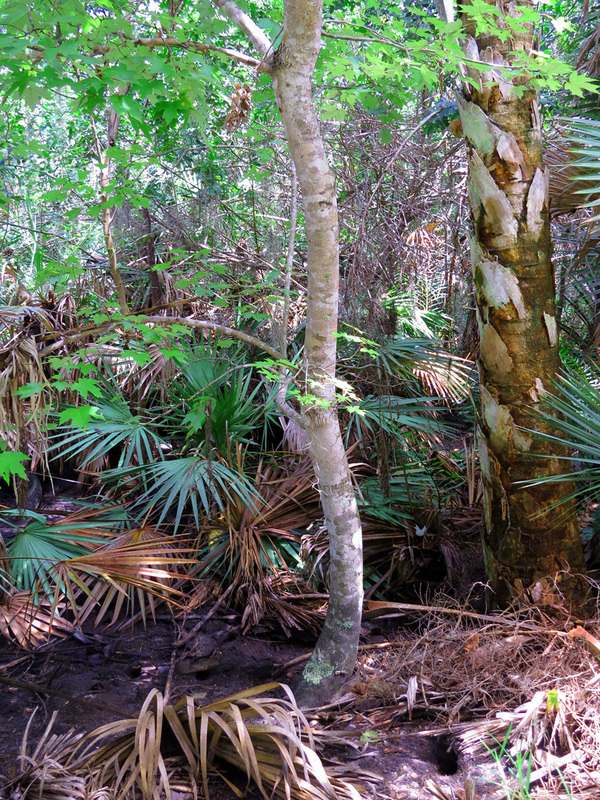 In more northern places this tree reaches heights of 75′, and this tree does grow in lots of other places: It is said to have the greatest range of any tree in north America. Note the moist, rich soil and the great Atlantic land crab hole at the bottom of the picture. One of the iconic tri-lobed leaves above has a the distinctive round hole indicative of a leaf cutter bee. Its leaves serve as a larval food for a number of species of moths including the polyphonous moth (Antheraea polyphemus). Red flowers, red fruits, red stems and red fall color make red maple a great large tree for moist places.